Today we feature an ensemble of holiday projects on Day 4 of our Blog Hop and Giveaway with our Quietfire Design! There are holiday projects and ideas shared from both design teams. Stick with us to the end of the post to enter to win our giveaway! This Merry Christmas Poinsettia stamp set is stunning with its swirl image surrounding the detailed poinsettia and a beautiful sentiment. With this stamp set, I am set to be organized and go festive! Today, I create a holiday ensemble. My first project is a traditional Christmas card. 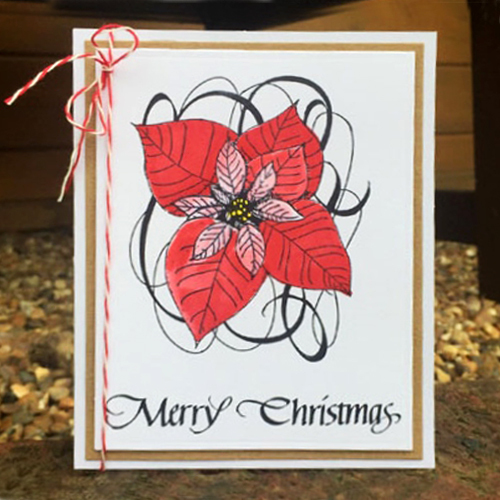 First I stamped and coloured the poinsettia image, which really made the design pop. For the bottom of the card, I stamped ‘Merry Christmas’. Next, I affixed Crafty Foam Tape on the back of card panel and matted the card using E-Z Runner Grand Refillable Dispenser. Lastly, tied some red bakers twine. On my second project, I stamped on dark red cardstock. It creates a stunning gift box and I love the effect. Assemble with E-Z Runner® Grand Refillable Dispenser and decorate with a simple tag. The stamp works both as a feature and a background. Now I’m thinking gift wrap too! Find me on my blog, Creativity Continues. Hello everyone! 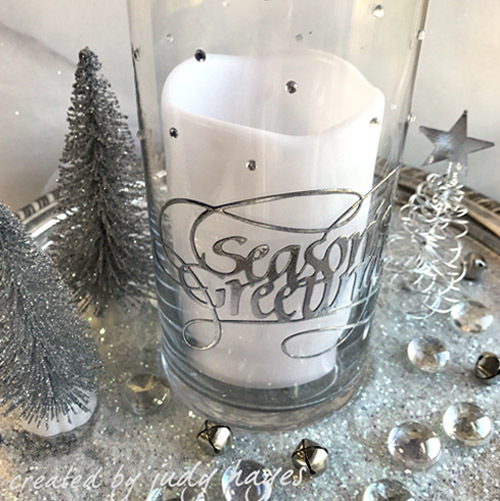 I am pleased to share a home decor piece that features a die cut made with Quietfire Design Season’s Greetings – Metal Cutting Die and adhered with our Adhesive Sheets 4 x 6ʺ. First I covered grey cardstock with Adhesive Sheets 4 x 6ʺ on both sides of the paper. Then I die cut this beautiful script “Season’s Greetings”. I used one side of the adhesive to adhere to the glass, and the other side for foiling. To adhere to the glass I removed a liner from the back side of the die cut and used a rubber brayer to roll over the die cut to firmly fasten it to the glass. You can use a heat gun or hair dryer to warm the glass for a better bond. After the adhesive liner was removed from the front side, I placed silver foil from the 3D Foam Holiday Embellishment Kit over the exposed adhesive. Remember to use the foil with the shiny side facing up, the dull side facing the adhesive. I rolled the brayer over the foil to press it onto the adhesive and then peeled the foil away and WOW! Adhere silver rhinestones randomly above the verse and it’s ready to be displayed! You can find me at my blog: Creating…My Style. Quietfire Design Blog Hop and Giveaway – Day 4! 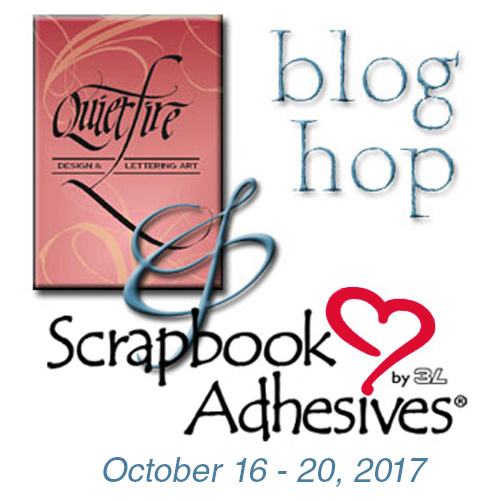 If you cannot see the comment section (at the bottom of this post), please click: Quietfire Design Blog Hop and Giveaway – Day 4 and scroll down to the bottom of the post. This entry was posted in 3D Foam Shapes, 3D Foam Squares, 3D Projects, Adhesive Sheets, Adhesives, Announcement, Cards, Crafts & Tutorials, Crafty Foam Tape, E-Z Runner® Grand, Gifts, Home Decor, Mixed Media, Party Favors, Permanent Adhesive, Seasonal Craft Ideas, Wear your Adhesive on the Outside, Winter and tagged 3D Foam Holiday Embellishment Kit with Foil, 3D Foam Squares Mix White, 3D Foam Squares Regular White, Adhesive Sheets 12x12" (25 sheets), Adhesive Sheets 12x12" (5 sheets), Adhesive Sheets 4x6", Adhesive Sheets 6x12", Blog Hop, Card, Card Making, Christine Emberson, Crafty Foam Tape White, E-Z Runner Grand Dispenser, E-Z Runner Grand Permanent Strips Refill, Gift Box, Home Decor, Judy Hayes, Quietfire Design, Wear Your Adhesive on the Outside. Bookmark the permalink. 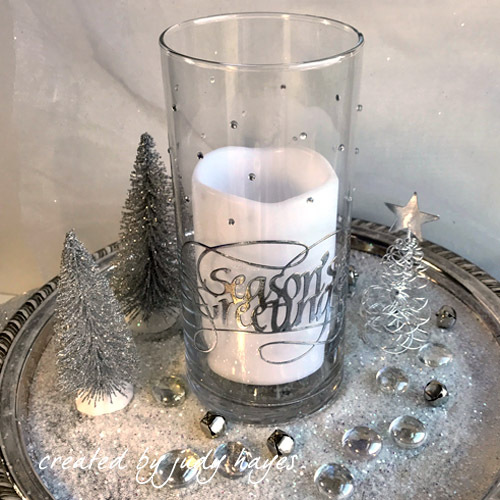 22 Responses to "Holiday Ensemble on Quietfire Design Blog Hop and Giveaway – Day 4"
The candle holder was beautiful. The candle and tray are absolutely stunning! I am definitely a glittery girl! Wow – these are gorgeous! LOVE that candle! the red box makes for a festive present. I had no idea that 3L had so many different products! The talent of each member of the design team is mind boggling, but the scope of products available has me believing even I could manage some of these beautiful creations. Many thanks for the inspiration. These projects are awesome. I especially love the decor piece. The DT has done a fabulous job. Thanks for all the inspiration. Wonderful variety of Christmas projects. 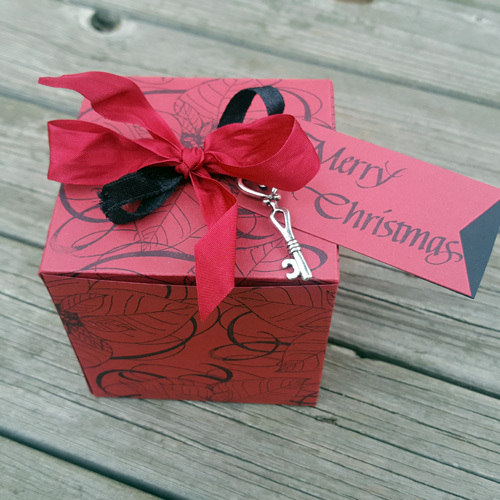 The card is just gorgeous , the little package is simply darling and that candle is STUNNING! Wonderful job ladies! Beautiful projects! I love the candle decor- gorgeous! Love the card and box ensemble! Beautiful colors and designs! And the candle is lovely… it would make a great gift! Poinsettias, so love the card, too. Wow! Stunning inspiration for Xmas projects! I so appreciate it when designers create 3-D and/or home decor items that are decorated with the stamped images and/or die cuts. The poinsettia stamped box and the decorated candle are my favorites. Loving the breathtaking candle holder! Very festive and elegant! TFS! These creations are just gorgeous ! I love the poinsettias with the swirled background and the silver greeting is so elegant! OMG what fabulous projects … I’m so inspired!! The pointsietta card is really fun and the candle is a Christmas classic!